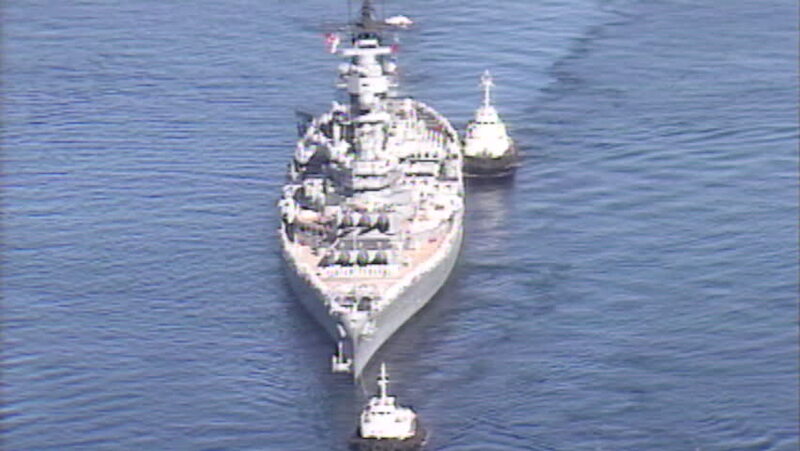 Archive 1991 USS Missouri Entering Fremantle Harbour after Gulf War. Last port of call before decommissioning. Ariels. front on. 4k00:13General cargo ship at sea - Aerial footage. hd00:12CIRCA 2010s - Aerials over a U.S. carrier strike group at sea.